With its variety of beautiful settings – from green meadows to hilltops with mountain and river views to Marble Hall and Gardens – Lakeshore Park provides the perfect environment for your special event, and it’s just minutes from downtown Knoxville and easily accessible from McGee-Tyson airport. Whether the occasion is a small corporate meeting or a large, lavish wedding, multiple outdoor options are available to you within our 185-acre park. Marble Hall – A 3,000 square foot covered, semi-enclosed pavilion with front and side terraces, restrooms, and a stage. The main hall is approximately 1,800 square feet, which opens onto front and side terraces. 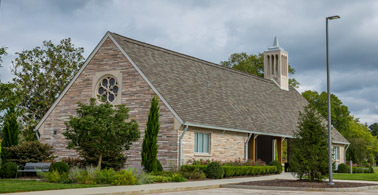 There are landscaped planting beds and a landscaped parking lot adjacent to the hall. 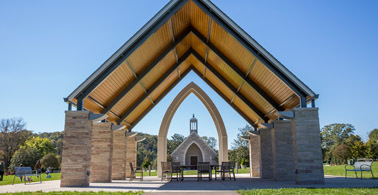 Arch Pavilion – New 26 x 34 open pavilion on a 60 x 80 foot terrace. 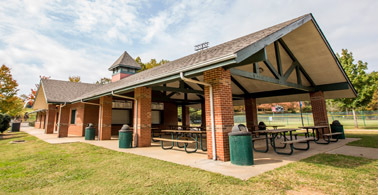 TVA Pavilion – Adjacent to the upper baseball fields, which includes restrooms and ten large picnic tables. 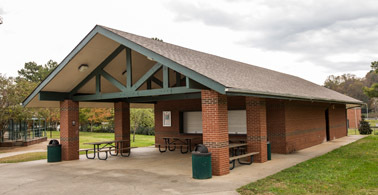 Hecht Pavilion – Adjacent to the lower baseball fields, which includes restrooms and four large picnic tables. 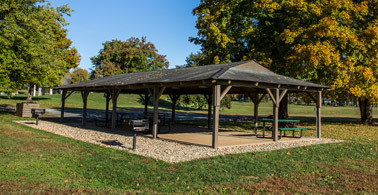 Lakeshore Shelter – Adjacent to the parking lot for the lower baseball fields, which includes four small picnic tables. 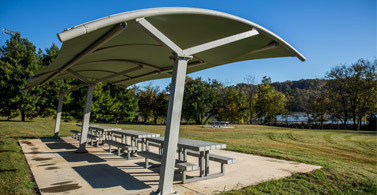 The Riverview Shelter – A covered picnic area behind the baseball fields near the river with four large tables. There are several other uncovered outdoor picnic tables dotting the adjacent hillside. The Main Lawn – A 2-acre multi-purpose field in the center of the Park with electrical and water panels and adjacent restrooms and parking. 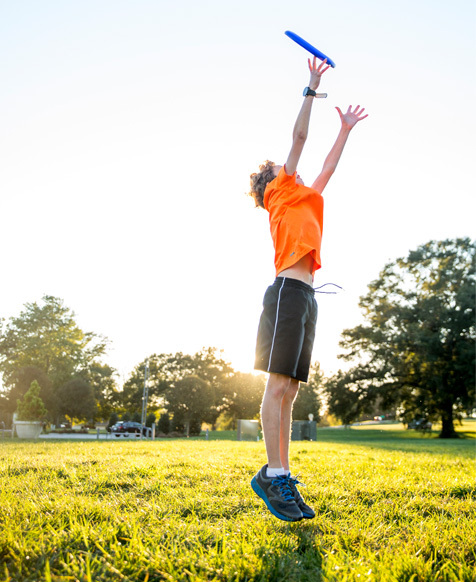 The upper and lower baseball fields may be reserved for events which will not damage the turf or interfere with scheduled games or practices. Open green spaces include the Hilltop Meadow adjacent to the Parks & Rec Administration Building, Waterside Meadow in the southwestern corner of the Park, East Terrace and West Terrace in the central section of the Park on either side of the Main Lawn, and River Terrace, a large flat meadow on the riverfront. 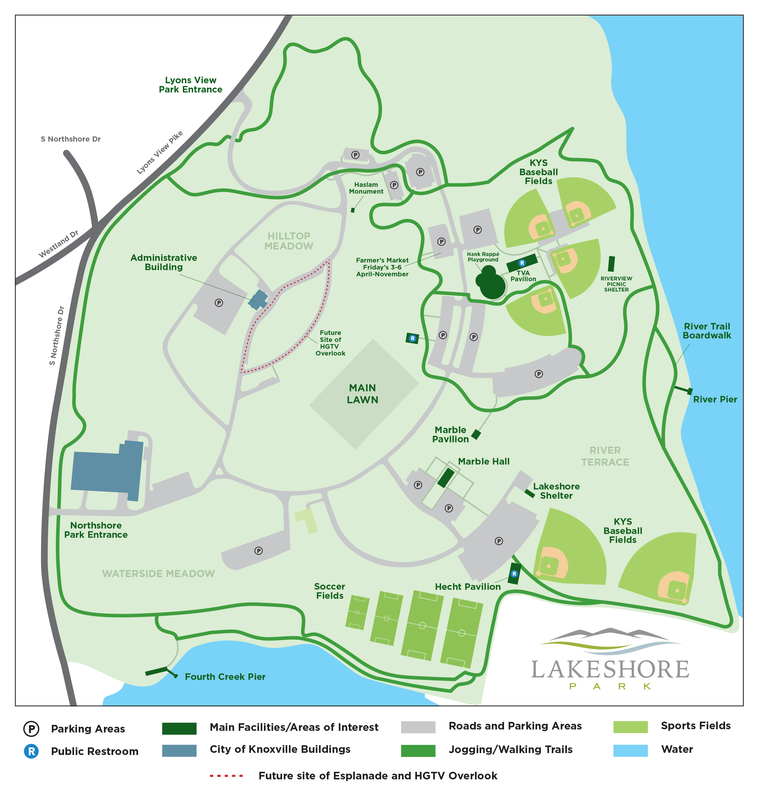 All fees from special events use support the maintenance and care of Lakeshore Park, a 501(c)(3) nonprofit organization. To schedule an event at the park and reserve your venue, complete and submit the reservation request form.